MRI stands for Magnetic Resonance Imaging. MRI scans use a strong magnetic field and radiofrequency pulses to create high resolution images of selected anatomy and any relevant pathology or injury present with exquisite and precise detail. This technology does not use any ionising radiation (X-Rays) and is considered to be very safe to patients, especially those requiring multiple follow up studies. You will be positioned lying down on the scan table. Some equipment called a “coil” may be placed around the body part we are scanning which is used like an antenna to receive the signal from your body. You will be asked to remain still for the duration of the scan as any movement can degrade your images. An MRI exam is made up of a number of different scans, lasting 1-5 minutes each, with an average exam taking about 20 minutes to complete. Some exams require the injection of an MRI contrast medium (Gadolinium) to enhance the tissues in your body. If required, this will be discussed with you prior to the injection. Gadolinium is extremely safe and it is rare for anyone to feel anything other than the small needle that goes into your vein. You will be able to carry out all your normal functions immediately after your MRI scan. The noise produced by MRI scanners is very loud, so hearing protection is provided. An emergency buzzer/alarm is also provided during the scan to alert the Radiographer if you need any assistance. MRI uses a strong magnetic field. This is considered to be safe for patients in general. However, patients who have metal implants may be at risk of either damaging the implant or themselves. At the time of booking and on arrival, you will be asked to complete a safety questionnaire to ensure it is safe for you to enter the scan room. Many metal implants have been tested to be safe to enter the MRI room, however some are very dangerous (e.g. pacemakers) and this questionnaire aims to identify patients at risk. This is a critical part of your preparation for any MRI scan. The MRI Radiographer will explain the procedure and thoroughly review your MRI Safety Questionnaire with you before your scan may begin. Metal objects such as watches, keys, coins and jewellery cannot be taken into the MRI room. This is because the powerful magnet can cause these objects to become safety hazards and or be permanently damaged as well as affect the quality of your scan. If jewellery cannot be removed (e.g. rings), some precautions can be taken. It is best to wear as little jewellery as possible when attending for your MRI. You will be provided with a gown to wear instead of your own clothes. In most cases there is no other special preparation for an MRI scan. For some specific scan applications, you may be asked to follow special instructions e.g. Restrict food and drink for 4-6 hours before your scan. If required, a High Street Xray staff member will advise you of this at the time of booking. MRI scans vary in time. On arrival there will be approximately 15 minutes of preparation time, particularly involving safety questions and confirming your personal and medical details. Most simple MRI scans take about 20 minutes per region to be completed. 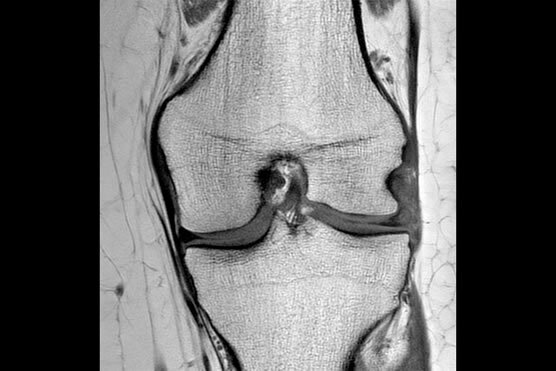 Are there any after-effects from an MRI? There are no known effects from having a MRI scan. It is possible to go about your normal activities straight after your scan. If you have received medication such as sedation medication, High Street Xray staff may need to monitor you for a short time after the scan and you will need someone to drive you home afterwards. MRI itself has no known harmful effects, but is not recommended during pregnancy unless under special circumstances. Contrast injections are not advised during pregnancy/breast feeding unless specifically required. These potential risks will be discussed if required. As outlined above, you will be asked a number of important safety questions by the High Street Xray MRI team before your scan. Cardiac pacemakers, some types of surgical clips in the brain (especially aneurysm clips), some artificial heart valves, bionic ears, magnetically activated pumps for chemotherapy or pain relief, and some other metallic implants may malfunction in the MRI and thus it is not possible to have an MRI if you have any of these devices. If a contrast injection is required, it is important to tell your doctor and High St Xray staff if you have diabetes or kidney problems prior to injection. This is because contrast agents may temporarily increase the load on kidney function whilst being excreted from your body. As with all drugs, there is a small risk of an allergic reaction to MRI contrast. Please let your doctor and High St Xray staff know if you have had any previous allergic reactions.